Facebook recently came under fire when it was discovered that the data of 87 million Facebook users were harvested by a political consulting firm, Cambridge Analytica. 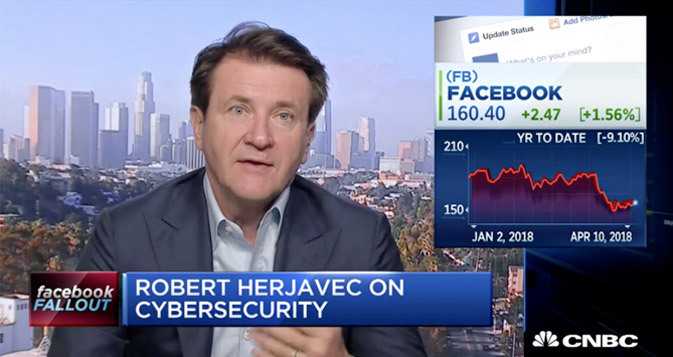 On April 10, our CEO & Founder, Robert Herjavec, spoke to CNBC about the possibility of a federal data protection law being introduced by the U.S. government as a result of Facebook CEO Mark Zuckerberg's testimony before members of US Congress. "It is the role of the government to protect our privacy," Robert Herjavec states.